Its summer, which means a fresh new set of college graduates just entered the working world. If you’re one of them, congratulations! You’re about to embark into the career force – that is, if you are lucky. You will likely have more trouble finding a job than your parents did 20 or 30 years ago. Studies show that this is the first generation of young people who will have had more trouble looking for jobs than their parents did. They will also live at home longer, have more debt, and have more trouble finding their niche. Not only will finding a job most likely be more difficult, finding a job in your field right away will be even harder. Employers are looking for experienced help that can step in right away and get started. You might have to look for something outside your comfort zone. Don’t worry, though, there are jobs out there if you are willing to think outside the box and be a little bit creative. The uncreative few will dive into restaurant server jobs right away, but there is other work out there. If you’re lucky, you’ll find a job that not only pays your college debt and day-to-day bills, but will also give you a great story to tell years down the road. If you’re willing to be isolated for weeks or months at a time, and not see the light of day for a while, being a submarine cook could offer great financial rewards and once-in-a-lifetime adventure. If you’ve got an adventurous streak and are willing to travel 20,000 leagues under the sea, you might find this job more than appealing. What happens when private plane companies and millionaires with a penchant for flying default on their loans? Same as what happens to the rest of us – the repo man comes around. For most of us, it’s usually to repossess things like dishwashers and jewelry. Special skills are needed for people who repossess things like aircraft, which need to be towed or flown away from their former owners’ homes. Dogs are more than a pet these days – they are members of the family. When the dog park just won’t do, look for the tons of people willing to give their dogs upgraded recreation time. If you love the water and love animals, teaching dogs to “Hang 10” might be right for you. The rich and famous tend to travel a lot which leaves their homes vulnerable to break-ins. If you’ve got great references and consider yourself responsible, luxury house sitting might be just the ticket to your new business. It’s a tough job, but someone’s got to do it. 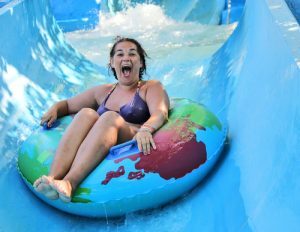 New waterparks are opening up every day. But before the general public is admitted, the park needs someone to tell them how smooth the rides are, what areas they can improve on, and what areas feel like they need work. This is a great job for the adventurous and wild at heart. Consider heading north (or south depending on which part of the world you call home!) for some isolated, but well-paying jobs. This list is just an example of some of the jobs that are out there. If you’re willing to be creative, there is so much more out there that you can do. And like most unusual life experiences, they will make for great stories in the end.